Your friends and family thank you in advance for this. 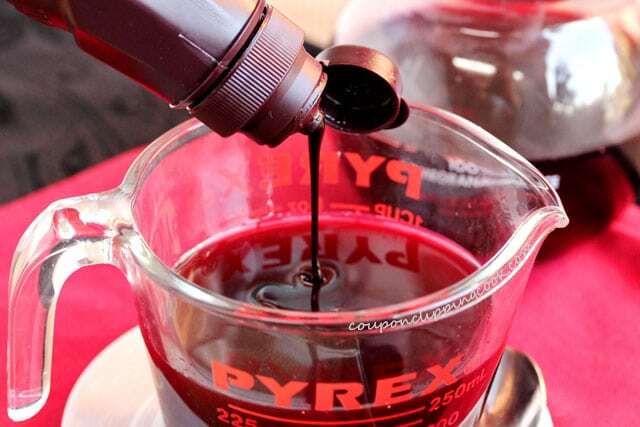 Can you guess what 2 ingredients make up the red velvet color? Here’s a hint, neither one is soda pop. 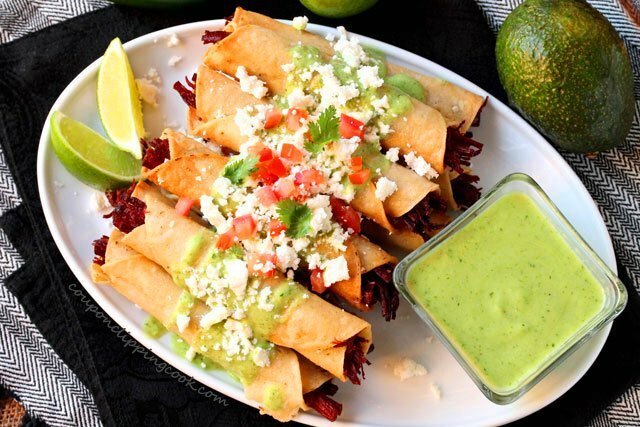 Another hint, both have antioxidants associated with them. 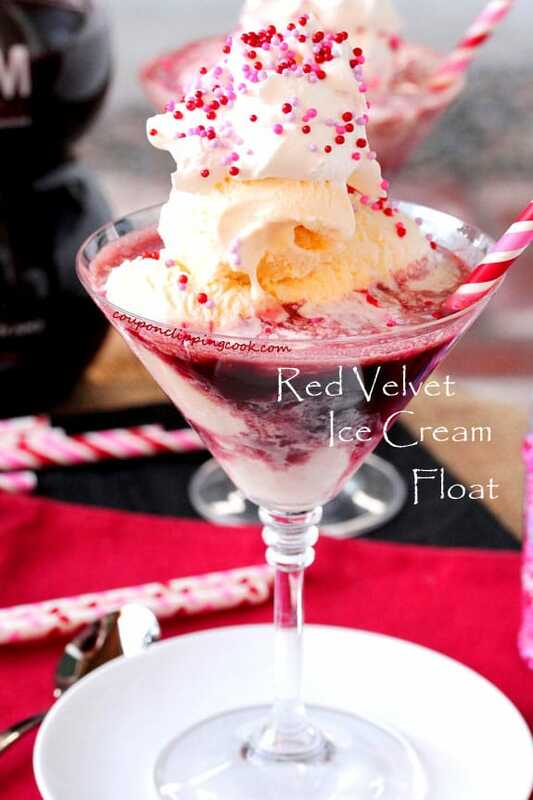 The deep red velvet color is made with 2 ingredients, 100% pomegranate juice and double chocolate syrup. 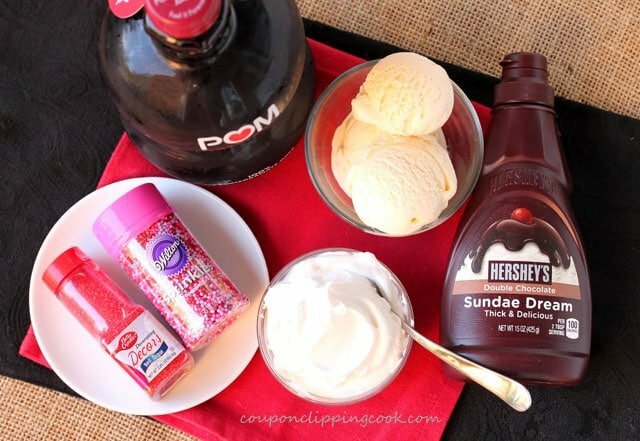 The combination of these two flavors is an amazingly delicious match up with vanilla ice cream too. The taste may be best described as tangy, rich, sweet and repeat. 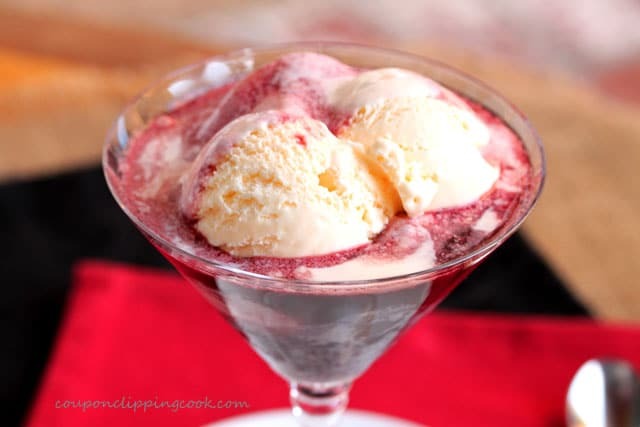 It’s a fun, quick and easy dessert. 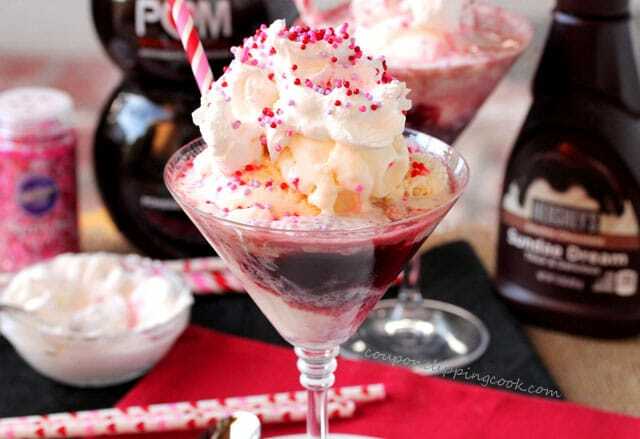 100% pomegranate juice, double chocolate syrup, vanilla ice cream, whipped cream (or Cool Whip topping), and candy sprinkles (red and pink based colors look nice with the red velvet). 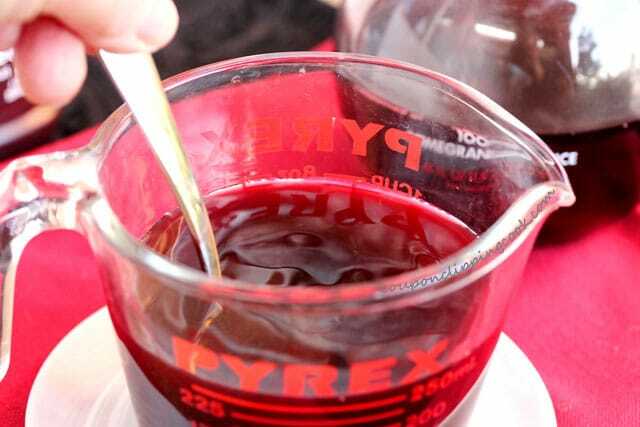 In a large measuring cup with a pouring spout, add the pomegranate juice. 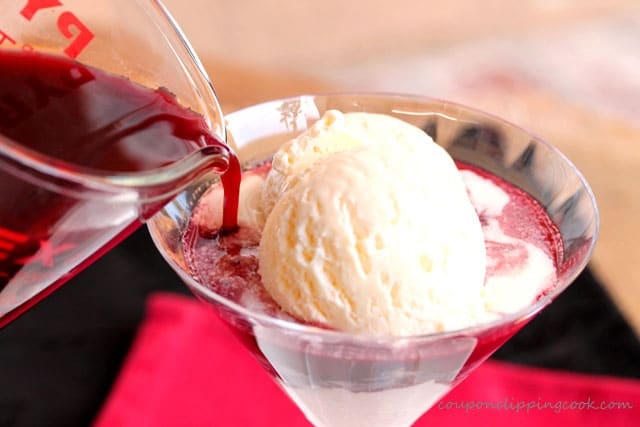 In serving glasses, add the ice cream. 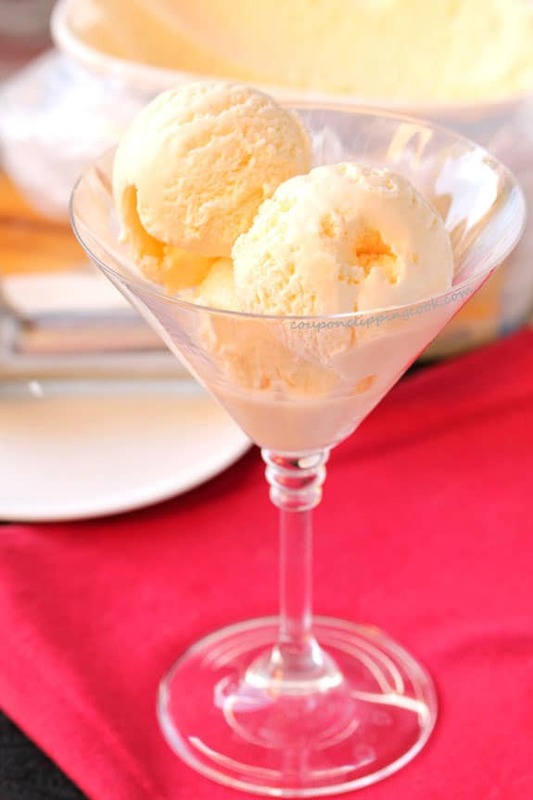 …so that the scoops of ice cream are still showing (if the serving glasses are similar to this martini glass). 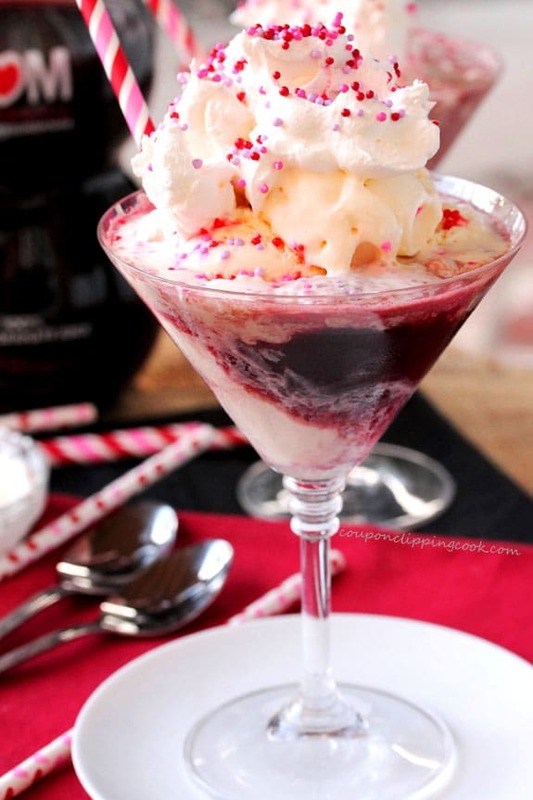 Top with whipped cream or Cool Whip topping. Your friends and family thank you in advance for this! 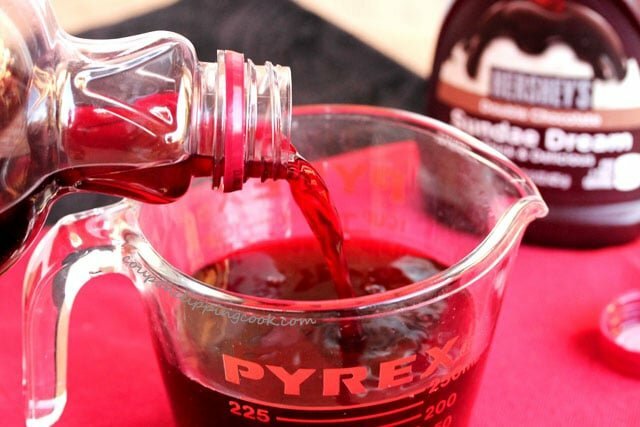 In a large measuring cup with a pouring spout, add the pomegranate juice and chocolate syrup. Stir together until incorporated. 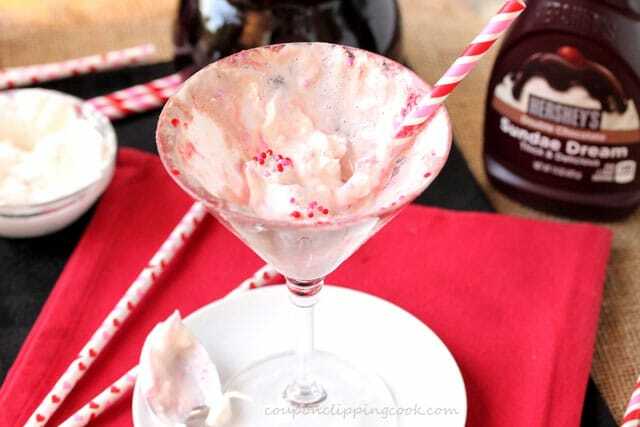 Top with whipped cream or Cool Whip topping and garnish with candy sprinkles. Serve right away. Red velvet is my all time favorite. Icecream is everyone’s favorite. 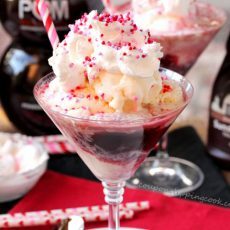 Its a great dessert combining the two.. Thank you for stopping by Amisha!